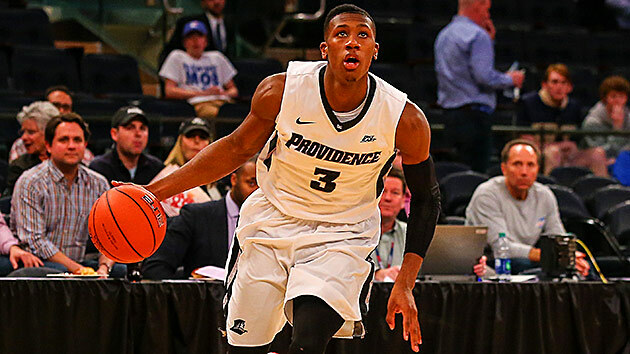 Everything you need to know about the Providence Friars as the NCAA tournament begins. Impact player: Kris Dunn, senior, guard, 16 PPG, 6.4 APG, 5.5 RPG, 2.5 SPG. The Case For: Once upon a time, this looked like a very dangerous team. By the end of January, Providence had 18 wins, including a neutral-floor victory over Arizona and a marquee one at Villanova. Though the Friars sputtered in the second half of the Big East season, that team is still somewhere inside them. Few teams have a two-headed offensive monster that can match the pairing of Dunn and Ben Bentil. The sophomore forward led the team with 21.2 points and 7.8 rebounds per game. Any team that beats Providence will likely have to slow down at least one of Dunn or Bentil, and that’s much easier said than done. Even when the Friars were struggling, defense wasn’t an issue. Their turnover rate was 42nd in the country, while they were 49th in three-point percentage. Teams really need to work to score consistently against them, and that’s a great trait in a tournament setting when you’re playing teams for the first time all season. They’ll also benefit from having their best player double as a senior point guard at tournament time. Despite having two scorers like Dunn and Bentil, the Friars too often get in trouble on the offensive end. Part of that owes to the fact that there really isn’t a knockdown shooter on this team. They shot just 32.1% from behind the arc this season, ranking 285th in the country. Kyron Cartwright had the best individual shooting percentage from distance, checking in at 35.8% on 53 attempts. Bentil and Jalen Lindsey fired up the most threes among the Friars’ regulars, but they shot just 33.3% and 28.1%, respectively, on those attempts. If Dunn or Bentil don’t score, the Friars really struggle to get anything going. The Friars failed to avoid bad losses this season, dropping three games to DePaul and Marquette, two teams nowhere near the at-large discussion. In other words, they could go down to a team they’re expected to beat. SI prediction: Beat No. 8 USC in first round, lose to No. 1 North Carolina in second round.